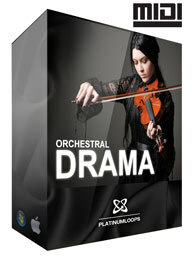 Orchestral Drama - Audio & MIDI Loops, Other CD & Sound Bank from Platinum Loops. 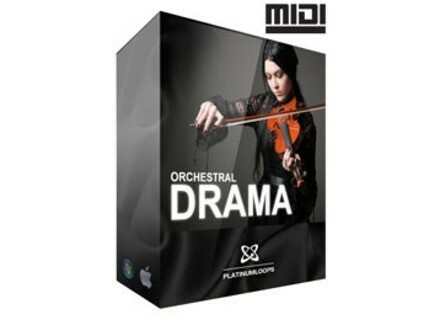 Orchestral Drama features 10 construction kits with full MIDI arrangements and audio stems of each orchestral instrument used in the arrangement. With 140 audio loops in three different formats (that's 420 audio files) and the full MIDI sequences, you can arrange, re-arrange, remix and replace any instrument with any virtual instrument that your DAW provides. Tempos range from 91 bpm to 132 BPM. Availability: Available now at www.platinumloops.com/detail.php?prod_id=193. Choosing a Laptop for Music Making: Part 2 In Part 2 we go deeper into PC laptops for music production and put a few choice models to the test. Voxengo VariSaturator 1.9 Voxengo VariSaturator version 1.9 update is now available for download. Best Service Ethno World Selection Best Service has announced that it has 999 units of Ethno World Selection available for €99 as a Download Pack (this includes Native Instruments Kontakt Player 2).